The Insulator No.16 contains a small chamber underneath the screw on cap to connect the open wire to the lead-in cable. The small hole for the open copper wire allows it to pass into the cap. 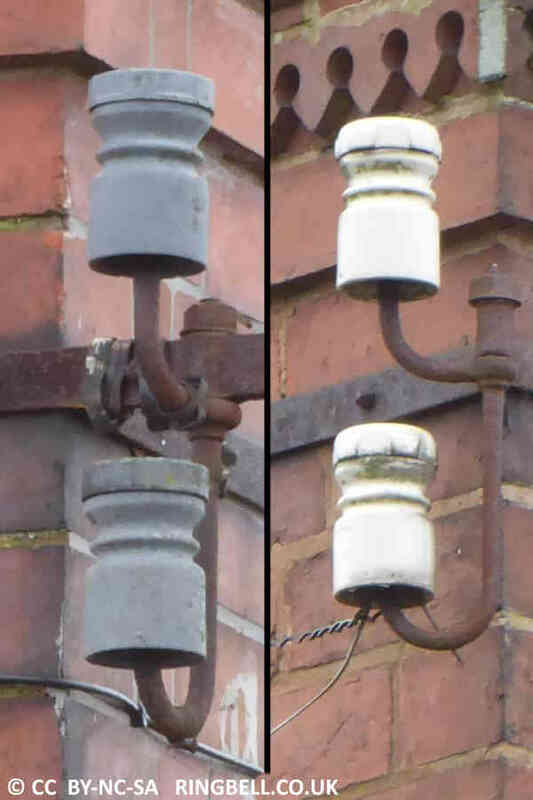 Insulators were often used as targets for air rifles. To overcome this problem, the more common black variety, made of a composite material, are described as unbreakable. The insulator measures 2¾″ in diameter and 4½″ high. The top recess for the connectors, under the screw cap is ½″ deep and 1¾″ diameter. Two &frac38;″ holes drop out of the recess for the terminating cable(s). Just above the top groove is a single &frac18;″ hole for the copper wire to enter the recess.